I know some who see this post may dismiss it as just another one of my many brush posts. 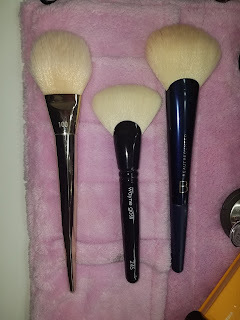 Yes, I make a lot of posts about makeup brushes that I like. These days, many of them have been on the more luxurious side. However, this post is different. This post is really special to me. Wayne Goss is a professional makeup artist who has been sharing his tips, tricks, reviews and techniques with the world via his YouTube channel. I have watched him for years, and he is one of the few who I almost always learn something from. These days there are a lot of YouTube personalities, makeup artists, and beauty gurus launching brush lines and/or makeup lines. Sometimes it feels like everyone is trying to sell you something. That is why this post is so very important to me. I am not going to lie. I get sucked in too. I have jumped online and ordered something just because it is a collaboration with a YouTube personality that I find entertaining. Sometimes I am happy with my purchase, sometimes I am not. Wayne Goss is different. Many years ago, he did a video on his channel about top quality synthetic makeup brushes. I remember him clearly discussing the brushes from Obsessive Compulsive Cosmetics, which I purchased at his recommendation. You see, Wayne loves makeup brushes. I have followed the launch of his first brush line (which was made with animal hair) and I look forward to his upcoming makeup line. I wish him all of the success in the world. Now let's look at the brushes! 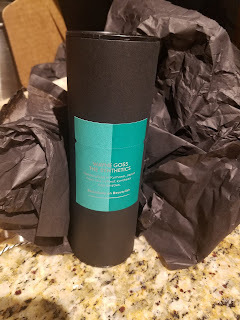 I pre-ordered the Wayne Goss Synthetic Set from Beautylish. The set arrived in a cardboard cylinder, closed with a label on front. This cylinder can be used to store the brushes, and protect them from dust. A velvet carrying pouch, and a brush guard on the fan brush were also included. 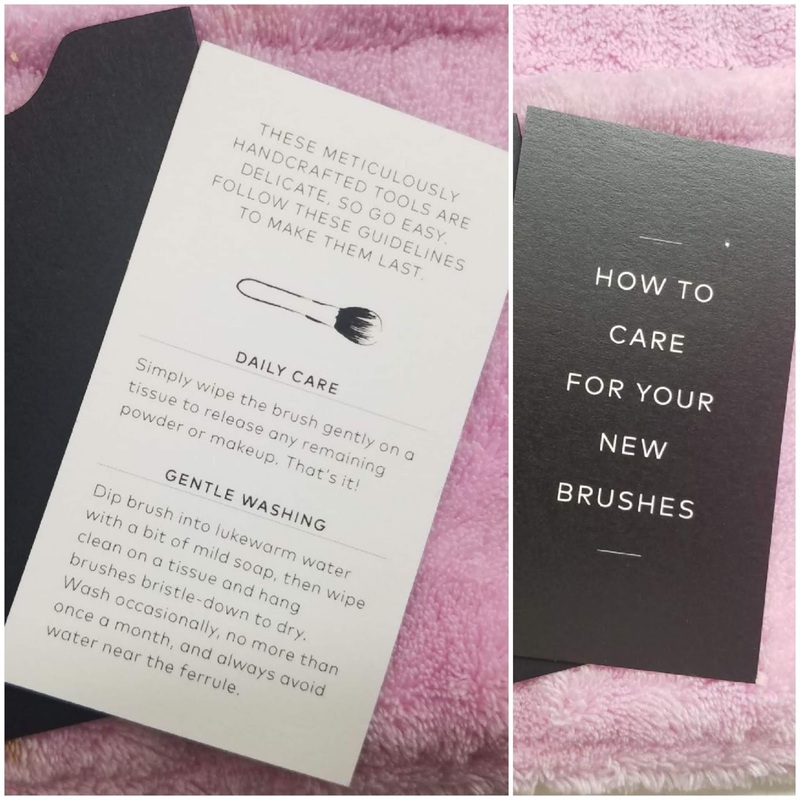 All of the brushes were individually wrapped. 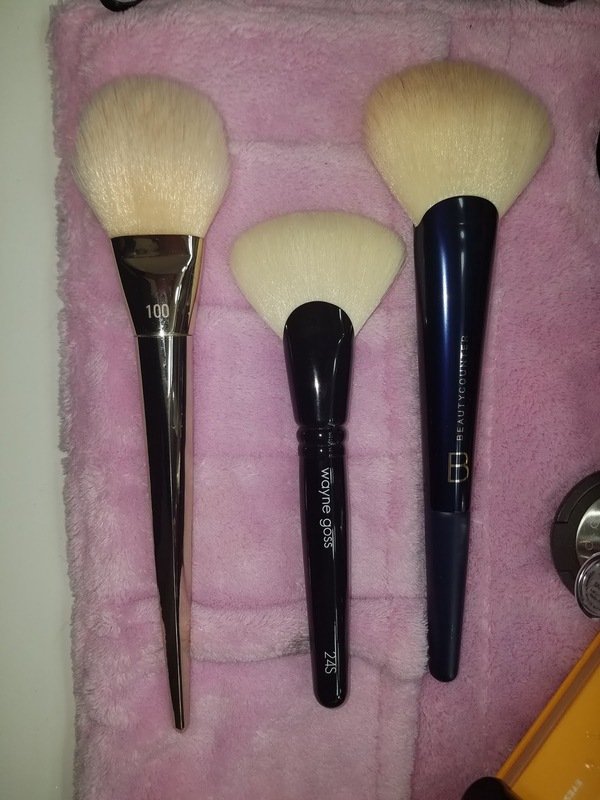 The set contains four brushes; two for the face, and two for the eyes. Wayne says that this is really all that one needs for a full face. I will be honest, I use a lot of brushes when applying makeup. This is largely due to the fact that I have a lot of brushes handy. If I only had these four brushes, could I apply a full face of makeup beautifully? The answer is yes. While I have not had these brushes very long, I put them to the test. 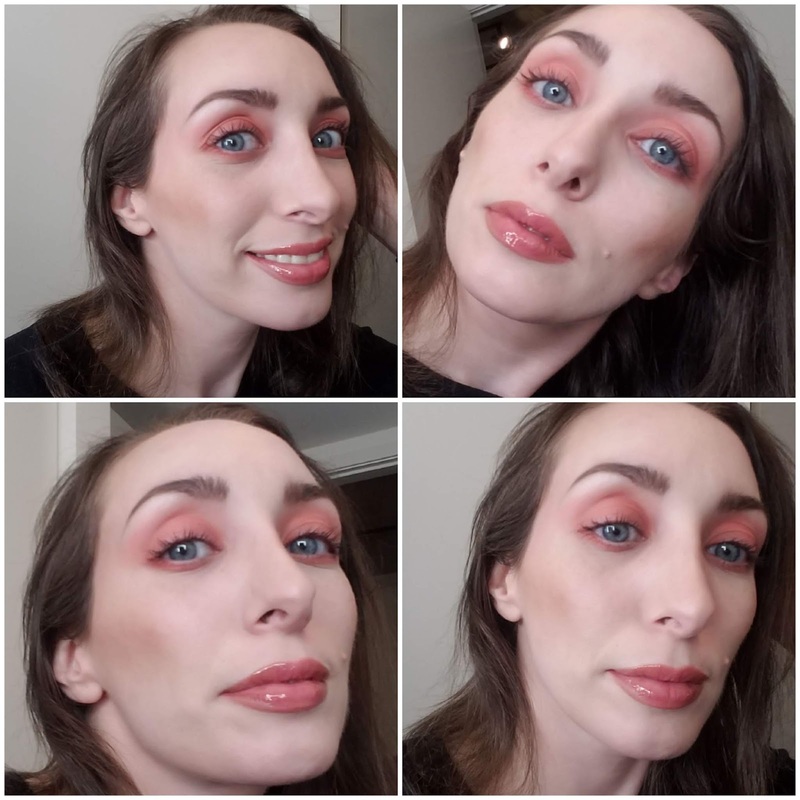 I used each brush in a variety of ways, and attempted to do a full face of makeup without bringing in any outside brushes. This four-piece set retails for $140.00 plus tax. I realize some people may think this price is a bit expensive. It is a lot of money for makeup brushes, but it is not a lot of money for these particular brushes. Like his animal hair brushes, Wayne Goss had the synthetic sets hand made in Japan by artisans. I would also like to note, that Wayne fully funded his initial brush line with his own savings. He did not have any outside investors, or any company backing him. Some are under the misguided impression that animal hair brushes cost more to make, and expect to pay less for synthetics. However, according to Wayne, the synthetic bristles were just as expensive as animal hair. I believe this to be true. Many brushes are made with goat hair. Last time I checked, goats were not rare animals, so I can't imagine why their hair would cost more than technologically advanced human made bristles. The older synthetic bristles that used to be available (and still are on cheap brushes) felt like cheap plastic. These days synthetic bristles are so advanced, they look and feel just like animal hair. The first brush in the set is the 24S brush. 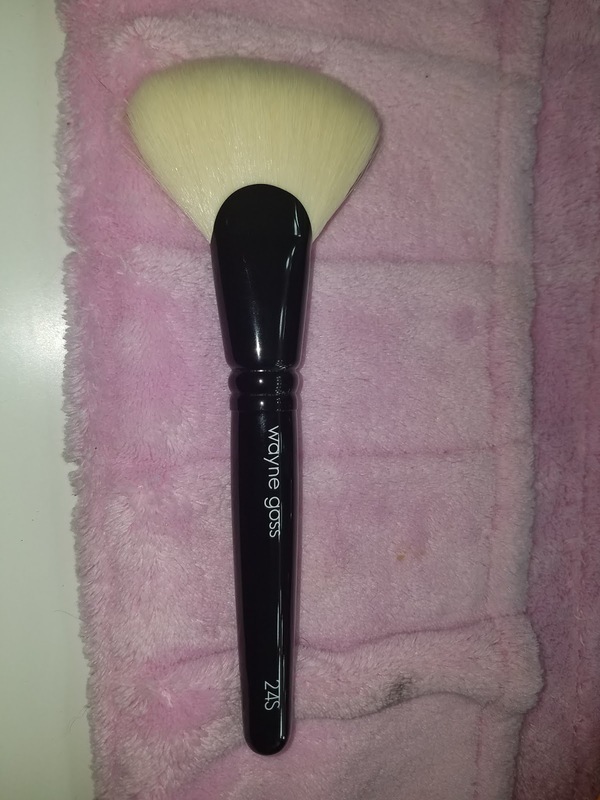 It is a fan brush, that can be used for foundation, bronzer, and highlighter. I personally like it for contouring, especially around the hair line. 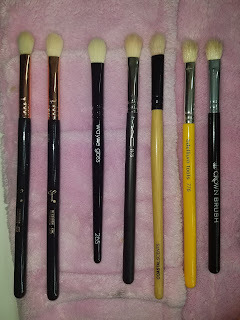 Like all of the brushes in this set, the bristles are very soft, and work well with powder, liquid and cream products. They feel comfortable in the hand, and are very high quality. The second brush in the set is the 25S. 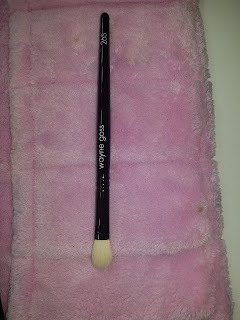 It is a large tapered powder brush, great for applying setting powder to the face. It immediately reminded me of the holiday brush that Wayne launched in the past. That brush is made out of animal hair, and a friend of mine allowed me to borrow it (along with other animal hair brushes) for comparison. I did not use the animal hair brushes on my face, but I did touch the bristles, and with my eyes closed the synthetic bristles feel just as soft as the animal hair, if not softer. Now, it is time for the eye brushes. The 26S is my favorite type of eyeshadow brush. 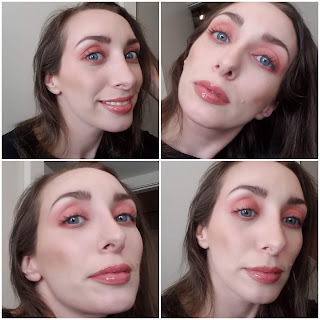 It is perfect for nearly any eye look. If I could only use one eye brush for the rest of my life, this would be it. This is shaped like the MAC 217 (or 217S if you prefer), which is a staple in most makeup artist's kits. The flat side can be used to apply pigment to the lid, and the tapered tip to apply shadow to the crease. If you turn the brush vertically, it works perfectly for blending.The tapered tip also allow for blending along the lower lash line. I love this type of brush with powder and cream eyeshadows, but it can also be used to apply concealer or setting powder under the eyes. The second eye brush in the set is the 27S, a small pencil brush. This works beautifully for blending shadow along the lower lash line. It can be used to blend out eye pencil, powder shadow, or even spot conceal. This brush style is another must-have for most makeup artists, and it is easy to understand why Wayne included it. Truthfully, I would not have minded a few more eye brushes in this set. His spoolie is not made with animal hair, and it would have been nice if he included it along with these four brushes. I personally already own that spoolie, and use it regularly. It is my favorite tool for grooming brows. The bristles on all of the brushes are very soft and smooth. 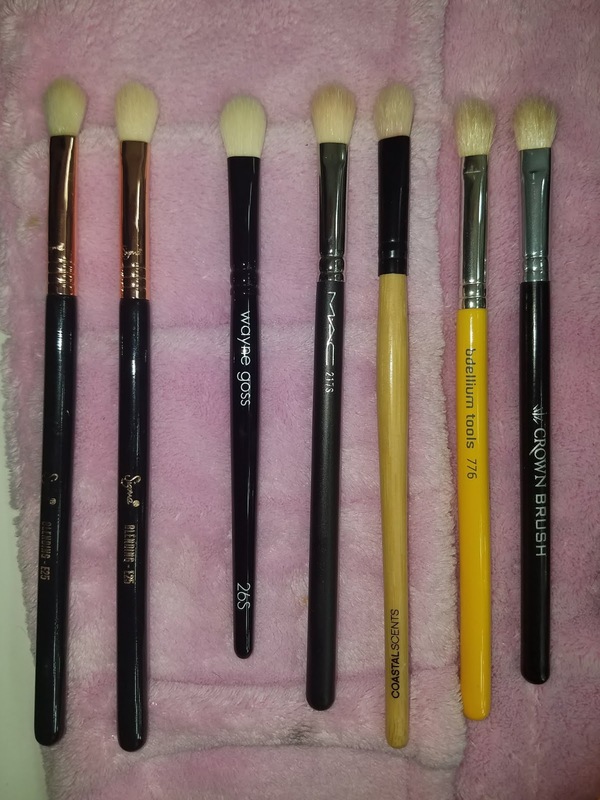 I pulled out every brush in my stash (all synthetic bristled of course) and felt them, comparing them to the Wayne Goss brushes. 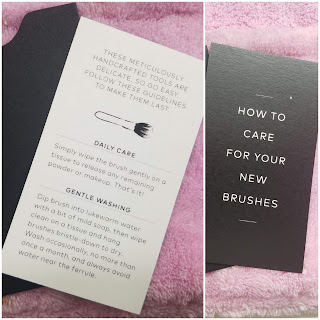 If I have to make a comparison, the bristles remind me of those on my new Tom Ford brushes (made with synthetic bristles), and the set I own from BeautyCounter. Pictured above, from left to right; Tom Ford, Wayne Goss, and BeautyCounter. 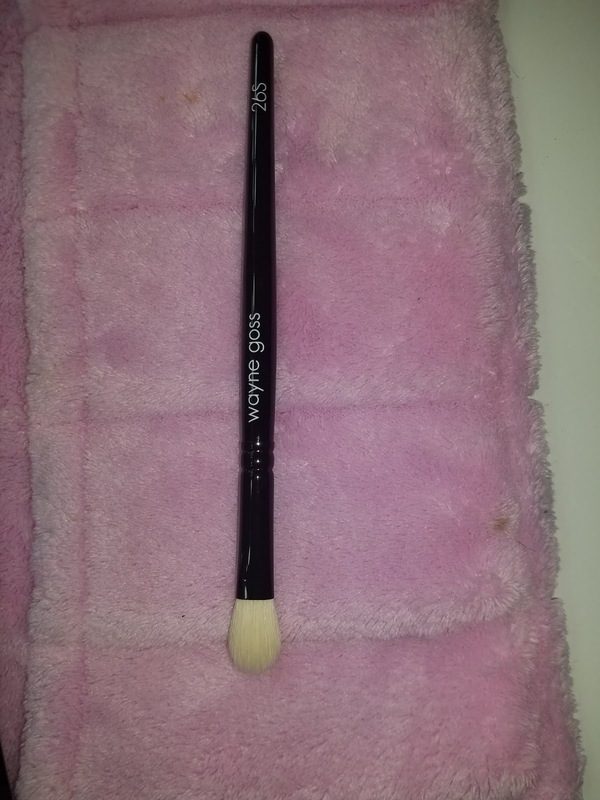 I also would have appreciated it if Wayne included a small flat eyeshadow brush, similar to the BeautyCounter brush pictured above. I know he favors brushes with a tapered tip, or point, as they can be used for just about anything. However, I do like a smaller flat brush for some types of eyeshadow application, such as patting on more shimmery pigments. The fan brush immediately reminded me of a baby version of my BeautyCounter Powder Fan brush. The bristles are softer than my Real Techniques Bold Metals #100 brush, but slightly less dense than my BeautyCounter Powder Fan brush. 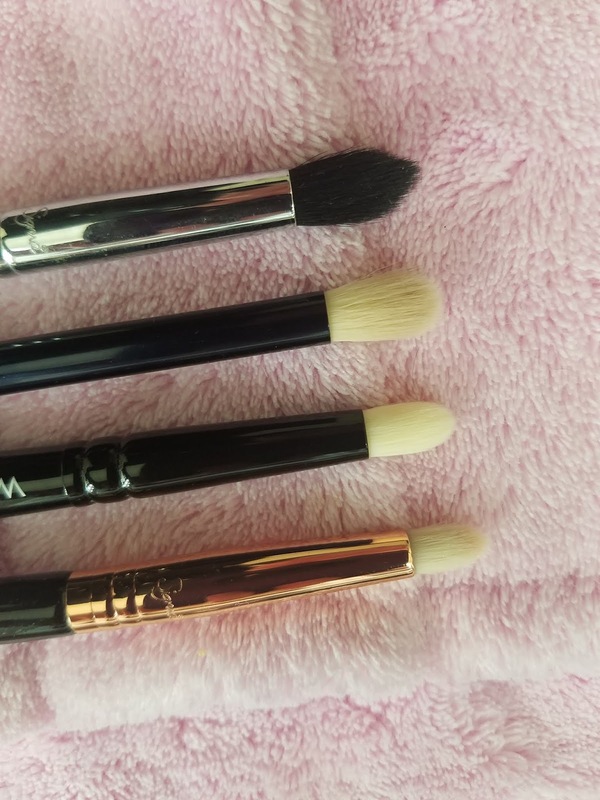 The fact that the Wayne Goss brush is a bit flatter than the BeautyCounter brush makes it nice for contouring, and patting on setting powder. However, I like the larger BeautyCounter brush for blending. The two together, result in the most perfect application of face powders. 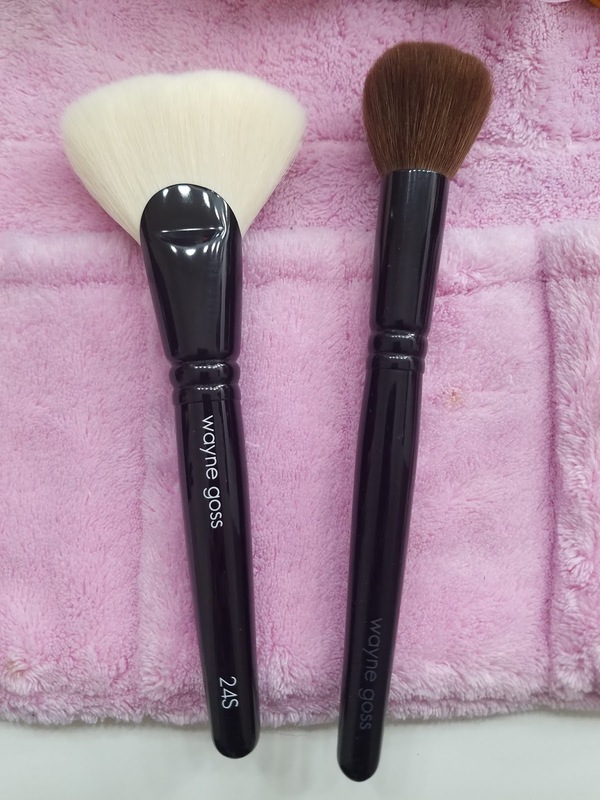 The Wayne Goss bristles are obviously much whiter looking because the brush is new. Since I just got them, I do not know exactly how they will hold up over time. I must admit that I have a little bit of concern about them staining with all of the higher pigment products on the market these days. That being said, most white bristled brushes do clean up well as long as they are cleaned properly, and with proper frequency. 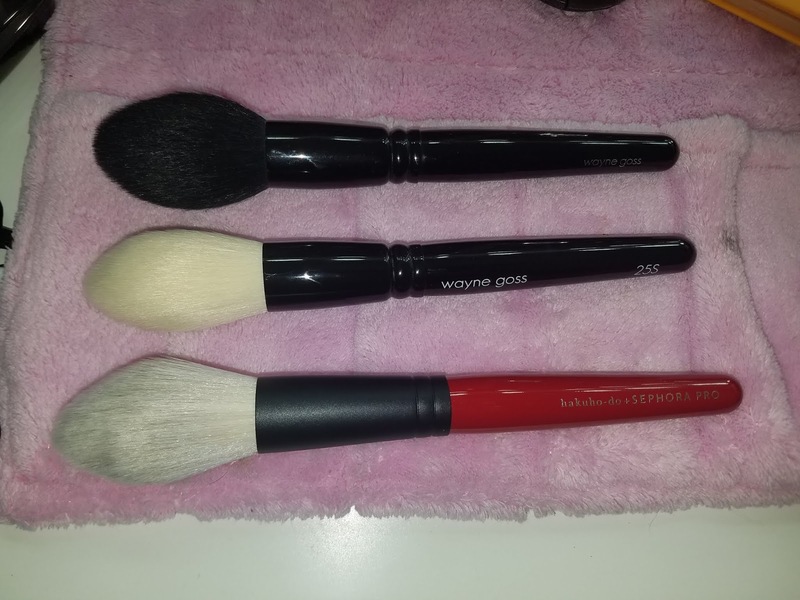 The picture above is my new Wayne Goss Synthetic Fan brush next to one of the original brushes from Wayne's original (animal hair set). I borrowed the animal hair brush from a close friend for the purpose of this post. On my new brush, the brush number and Wayne Goss are embossed. The lettering is raised, while Wayne's original brushes had any writing on the brush hot stamped. He did this initially to cut down on costs, and as you can see, the writing is now almost completely worn off the original brush. I suspect this will not happen with the newer brushes. The only negative thing I can possibly say about these brushes, if I am really being picky, is that the handles are extremely short. This brush set is closer in size to my travel brush sets. Above is a collection of similarly shaped brushes from different brands to demonstrate handle length. I suspect that most people, like myself, will be using this set for personal makeup application. If that is the case, a shorter handle is often preferable. 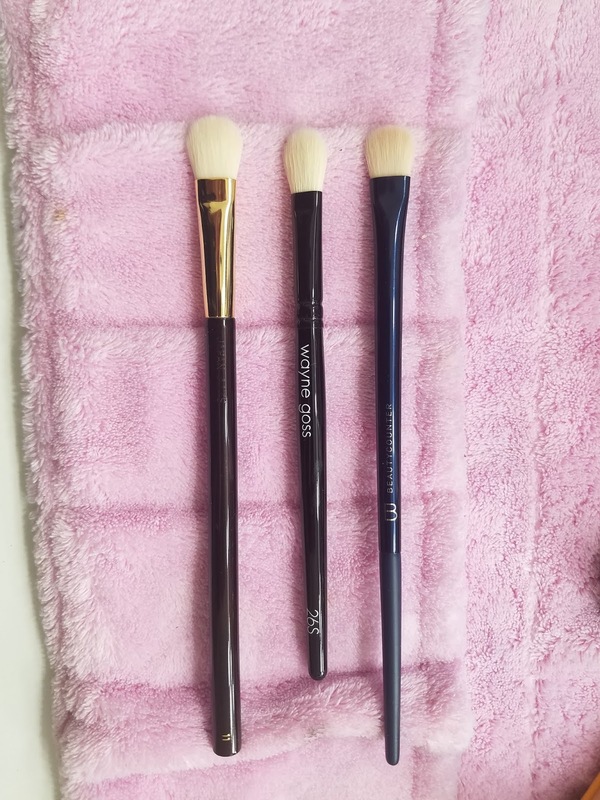 However, when I use brushes to apply makeup on someone else, I strongly prefer a longer handle.This is a matter of personal preference, and the Wayne Goss brush length is very similar to the length of Tom Ford brushes. 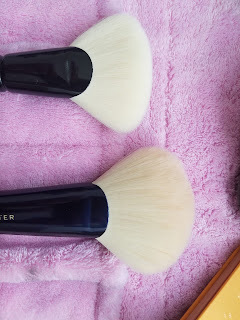 Above is a comparison of tapered powder brushes. The first one on top is the Wayne Goss holiday brush (animal hair) that I borrowed from my friend. 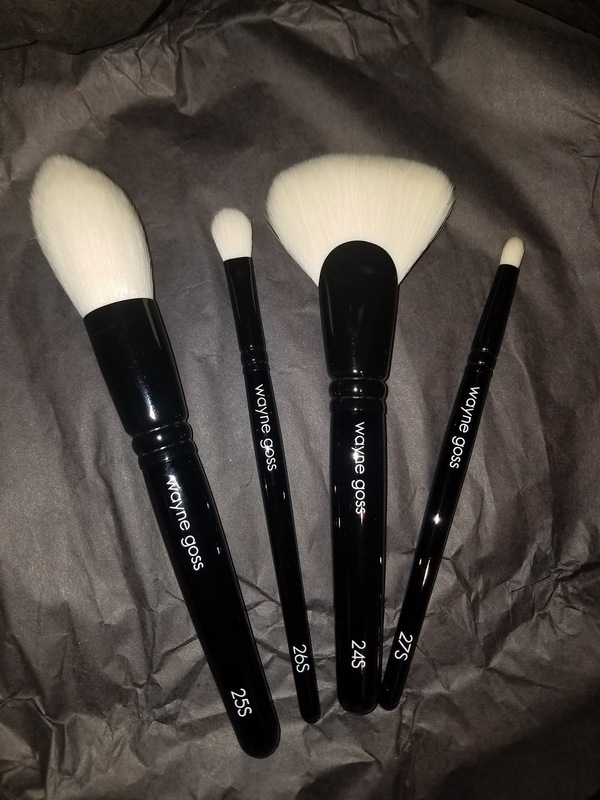 It is nearly identical to the Wayne Goss synthetic brush in this set. The animal hair version is a tiny bit more fluffy, but they are equally as soft. The brush on the bottom is another newer brush to my collection. It is made with synthetic bristles and also made in Japan by artisans. It is from the Hakuhodo X Sephora Pro collection. I LOVE the brush pictured above with the red handle. 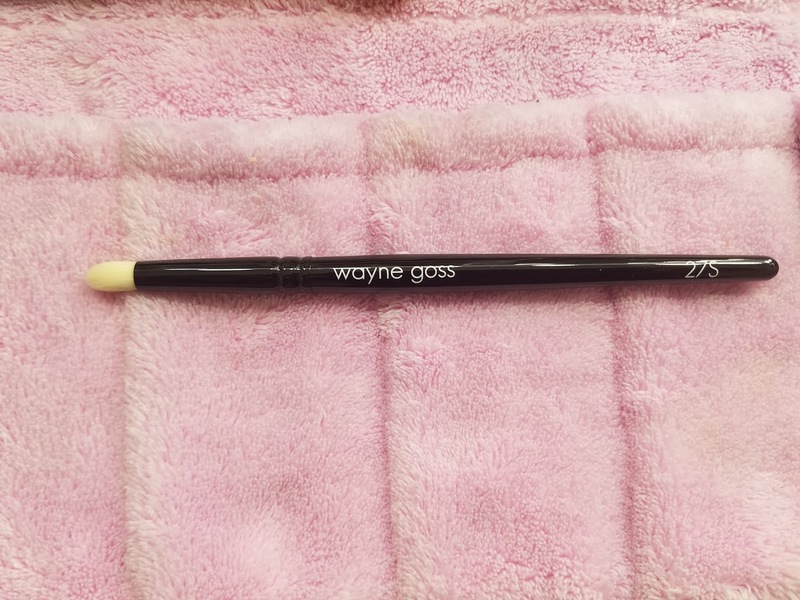 It is so soft and smooth, and applies beautifully, but the Wayne Goss synthetic brush is even better! Finally, the Wayne Goss synthetic pencil brush, is really not like any other in my collection. From top to bottom pictured above; Obsessive Compulsive Cosmetics small tapered brush, BeautyCounter, Wayne Goss, Sigma Pencil Brush. 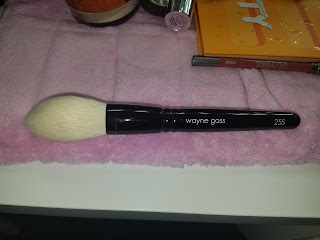 As you can see, the Wayne Goss brush has a gently tapered tip. 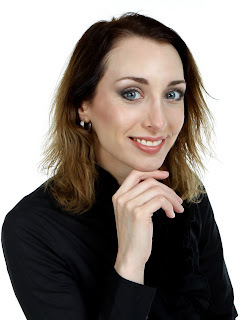 It is not too pointy, nor too rounded, and the perfect size for adding an inner corner highlight to your eyeshadow look, or smudging out product along the lower lash line. Pictured above are the brushes in action. 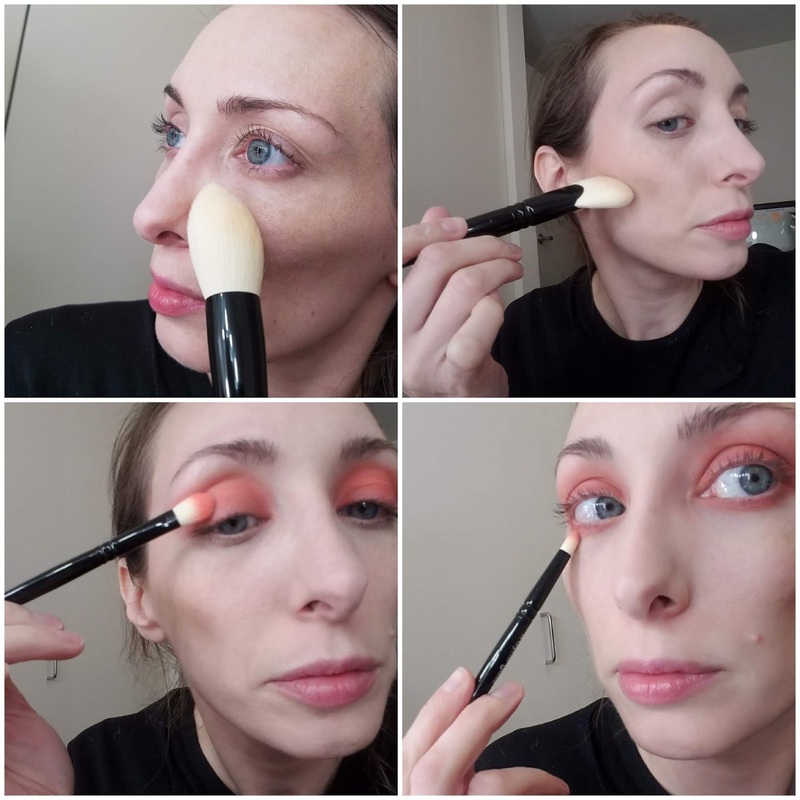 I used the large tapered powder brush to set my under eye concealer with powder. The fan brush, I used for contouring, and especially loved it for placing powder along my hair line. The larger eyeshadow brush works well for applying shadow to the lid, and also for blending. I used the pencil brush to blend shadow along my lower lash line. 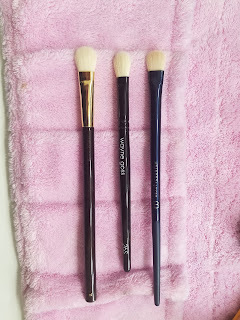 I do agree that I could have done a full face using just these four brushes. However, I did find myself reaching for others in my set. I don't know if it was out of habit, or because I really felt like I needed additional brushes. I needed to use an angled brush from a different brand to fill in my brows, because one wasn't included in this set. 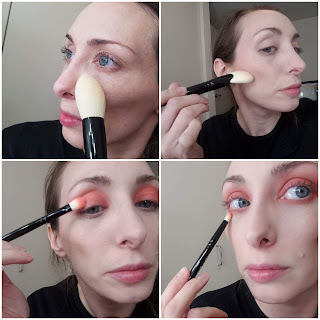 I would have loved if Wayne added an angled brow brush with a spoolie on the other end. I know a lot of people are using brow pencils and markers these days, but I still favor brow powder and or pomades. I also like a small dense brush for blending out my under eye concealer. Again, I know many people use a beauty sponge for their face and will be fine with just these four. With so many makeup brushes on the market, I know it can be difficult to know how and when to spend your money. I strongly feel these brushes are well worth the price tag. These are an investment, for someone who wants to stop wasting money on cheap brushes, and have a good quality set that will last for years. If you love makeup, and wear it most days, $140 is not a lot of money. If I think about all of the money that I have wasted over the years on crappy brushes that gave my makeup a streaky appearance, or broke after a short time, I can only say that I wish Wayne made this set sooner. I sincerely hope that this set sells, and others see the true value of investing in quality brushes. I also hope that Wayne expands this line a bit. If he does, these will be the only brushes I will likely want to spend my money on because they are far superior to most others on the market. Do you own the Wayne Goss Synthetic Set? Do you plan on buying it? *The Wayne Goss Synthetic Brush Set in this post was purchased by me. I do not write paid reviews. This is not a sponsored post. All opinions are my own.